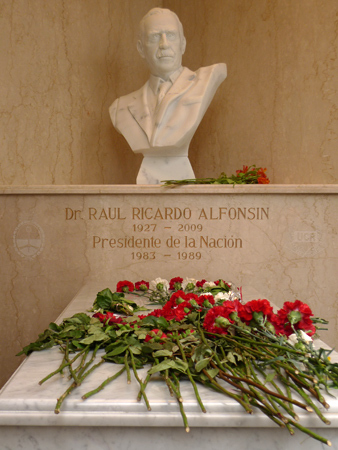 After the death of ex-President Raúl Alfonsín on March 31st of this year, he was temporarily laid to rest in a pantheon dedicated to victims of the 1890 Revolution. That conflict gave birth to the Unión Cívica Radical, Alfonsín’s political party. In the meantime, a site previously belonging to French nuns had been purchased for Alfonsín. 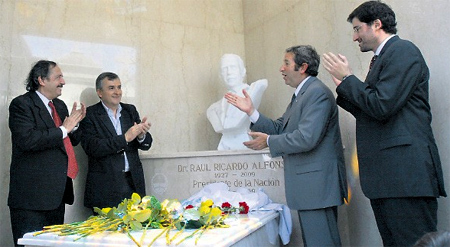 The old was demolished & the ceremony for the new took place October 30th, the same day Alfonsín was elected in 1983. A bust of the former President by sculptor Luciano Garbati was officially revealed by family members & leading politicians of the UCR. Vice-President Julio Cobos spoke about political reform as did UCR leader, Gerardo Morales. 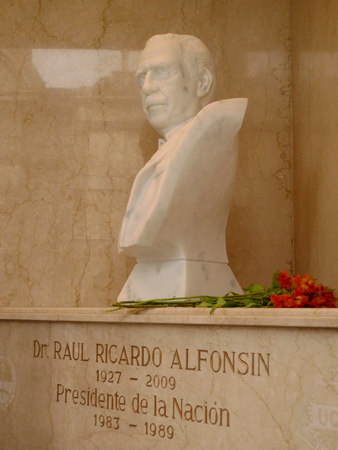 Many people claim that the bust does not resemble Alfonsín, but supposedly the sculptor used an older photograph—therefore a younger image of Alfonsín—as his model. In fact, it is the same image found on a commemorative stamp issued in May. Update: In January 2016 Alfonsín’s wife, First Lady María Lorenza Barreneche Iriarte, passed away. She was cremated in Chacarita Cemetery & her ashes brought here to rest in peace. Press photos above from momento24 & La Nación. Gracias Raul! 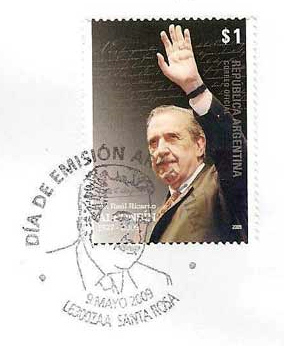 Ojala tuviéramos políticos como Alfonsin y Lula. 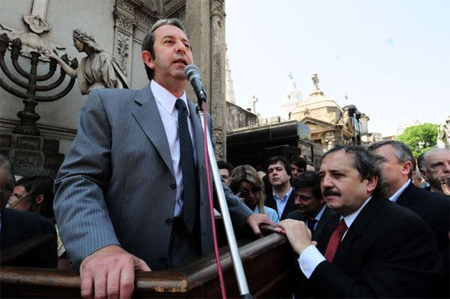 El 31 de Marzo se cumplieron 4 años de su fallecimiento de este gran hombre que salvo la Democracia en su momento mas difícil.